The 'brain drain' phenomenon has reversed and India's scientific arena is witnessing a 'brain gain' instead, Union Science and Technology Minister Harsh Vardhan said on Thursday. "Earlier, we used to hear about brain drain, now the brain drain has got converted into brain gain. 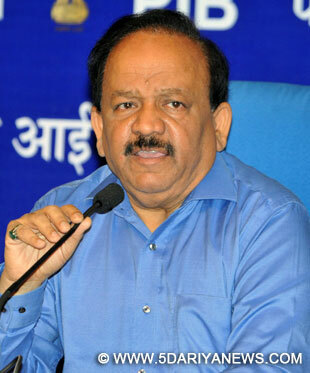 Now in the last two three years, over 250 scientists have come back to India and we are promoting all this movement," he told reporters on the sidelines of an event organised at the National Institute of Oceanography near here.Harsh Vardhan also said that scientists from other countries were eager to come to work in India on exchange visits and were encouraged by fellowships instituted by his ministry.